View cart “City Scape 3 Snap On Belt Buckle – Hebrew Letter Series Belt Buckle” has been added to your cart. 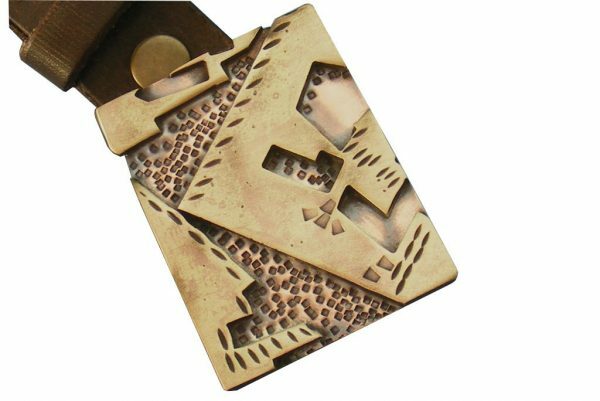 This handmade belt buckle will turn your belt into a personal statement with its many hues of bronzes. 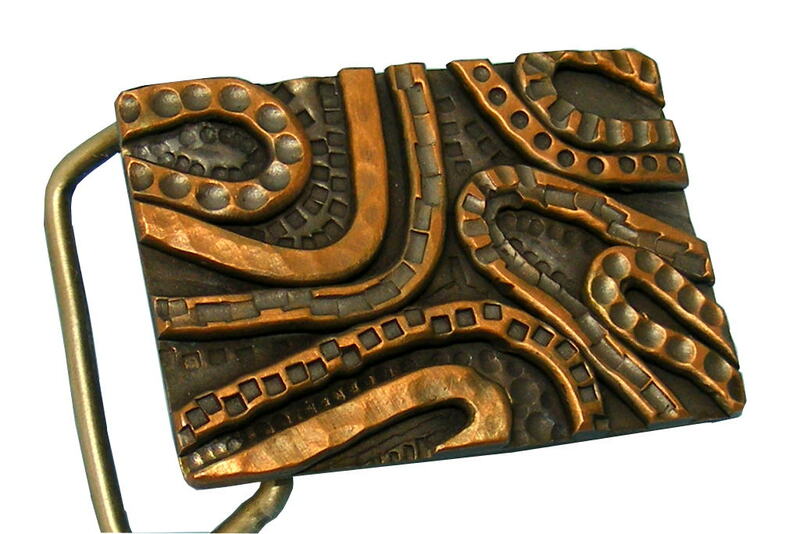 This rectangular belt buckle is made from hammered copper wire laminated to a copper backing and chased with texture. The copper has been chemically darkened and polished. 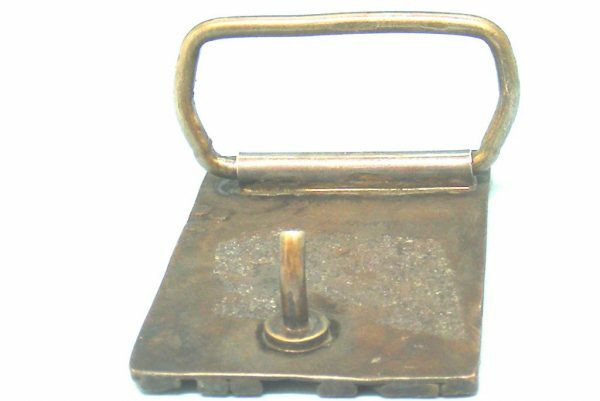 The buckle back is made from brass. 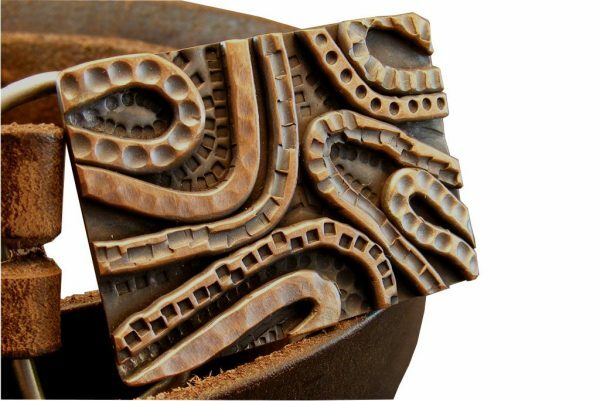 This handmade Loop2Loop Snap On Belt Buckle will turn your snap on belt into a personal statement with its many hues of bronzes. 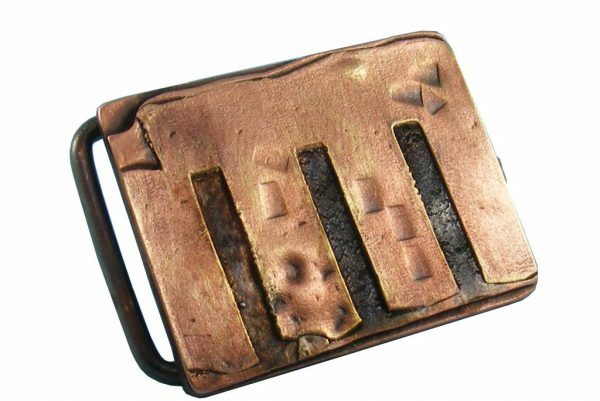 Dimensions of this belt buckle:4.9 cm (1.93″) wide x 3.5 cm (1.37″) high. The belt back is made from nickel silver.